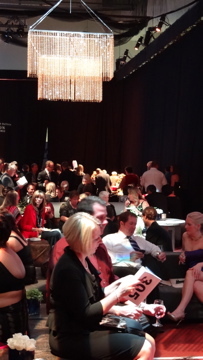 Last year at this time I was still a bit of an unknown entity in this community. While I was known as a blogger my role and function was still a bit hazy, even to me, and certainly to local organizations. The concept of bloggers as media was still a bit novel here, and so many groups didn’t know quite what to do with me. 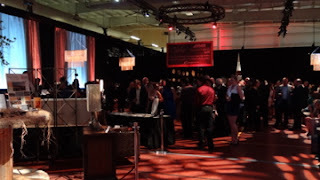 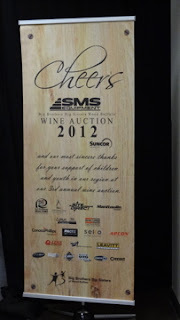 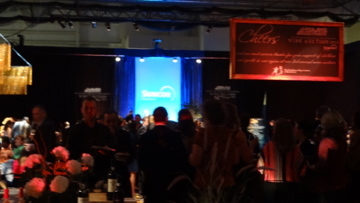 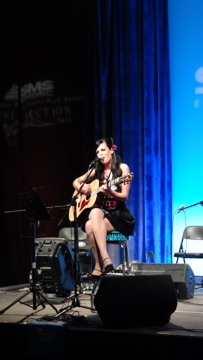 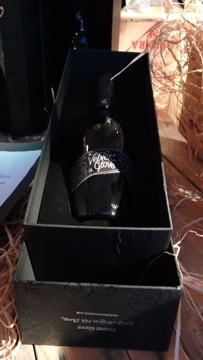 The folks at the SMS Wine Auction, though, were “early adopters” – and they issued me my very first event media pass. 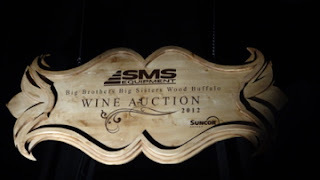 The SMS Wine Auction is a fundraiser for the Big Brothers and Big Sisters, a fine organization in our community. My older sister was actually a big sister for some time, and I recall how much it meant to both her and to the little sister she mentored for a couple of years. 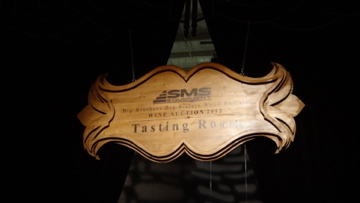 I think it was an experience that changed both of their lives, and so I am familiar with the work done by the Big Brothers and Big Sisters, and their importance in a world where children can sometimes feel alone. 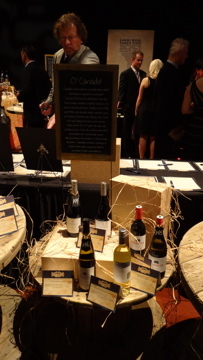 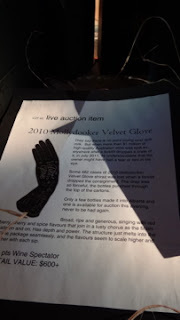 The wine auction blew me away last year. 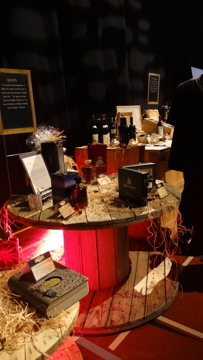 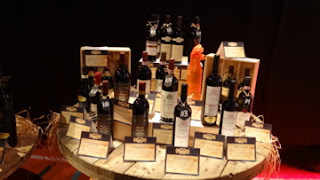 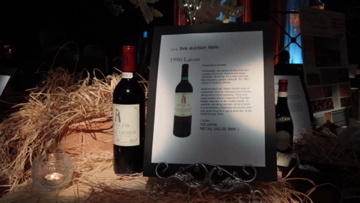 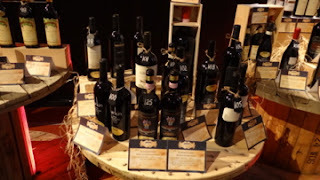 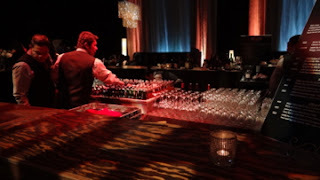 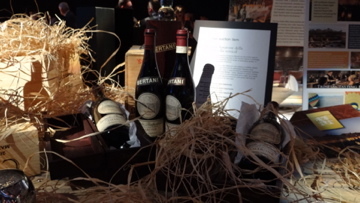 The attention to detail in everything from décor to wines was so apparent and impressive that I walked away thinking they could never top it – and yet they did, as this past weekend I once again attended the wine auction and was impressed all over again. 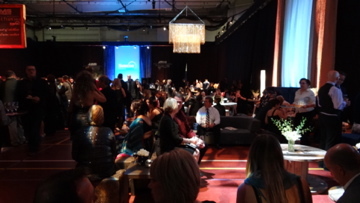 I love arriving at an event and anticipating what I will find inside. 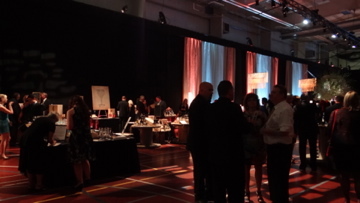 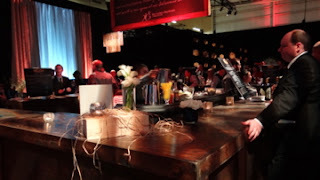 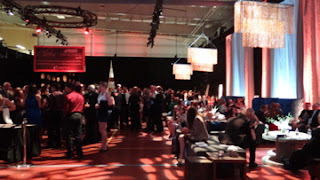 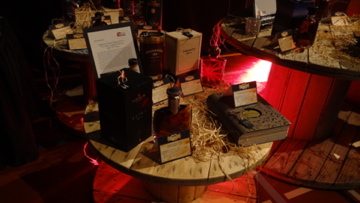 When I arrived at the Syncrude Sport and Wellness Centre what I found was a sophisticated cocktail setting in the middle of some very industrial touches. 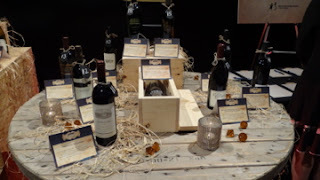 The décor, you see, was meant to evoke a rougher feel, with industrial wire spools as tables and wine cartons as stands. 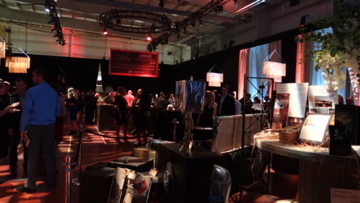 The contrast of the fine wines and the industrial edge was very apparent and worked very well in my opinion, lending the room an interesting feel and atmosphere perfect for the festivities to follow. 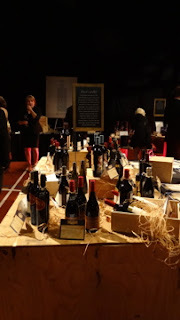 I wandered around the room snapping photographs of the silent auction items, lovely wines and other items available for bidding. 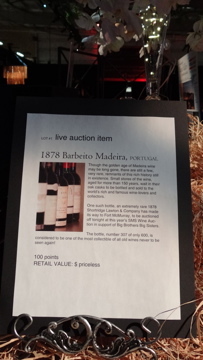 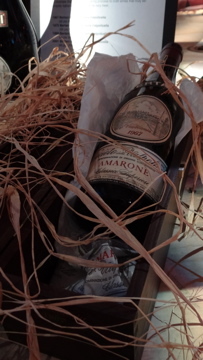 It was of course the live auction wines that interested me most, though, including a bottle of Barbeito Madeira from 1878. Yes, you read that right, 1878, an incredible bottle of wine by any measure (including still existing after 134 years – 134 YEARS people!). Other items up for auction included trips to Napa Valley, dinner with our lovely mayor, and dinner with our local MLAs (which, me being me, elicited a quip about how they should pay me to have dinner with politicians, but I digress). 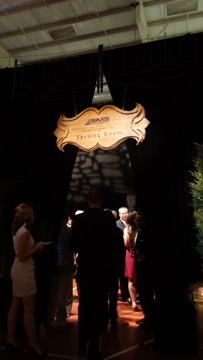 I wandered and snapped photos and then I tried to get into the wine tasting room. I tried once, and it was full. 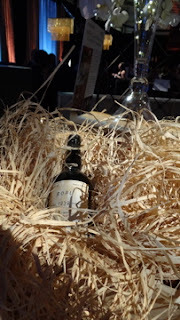 I tried twice, and it was full. Third time lucky, I managed to wedge my way in, and this room was clearly the most popular at the entire event as guests sampled the fine wines on offer. I hadn’t bought any tickets to try the samples as when I am working I don’t normally drink – but then a friend with extra tickets found me and wine glasses began to appear in my hand. I tried reds and whites and I was delighted to find a lovely variety of tastes. 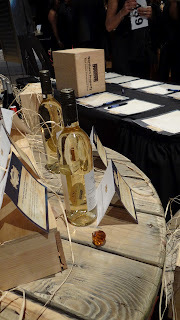 I tried Chardonnays (my preference) and Rieslings (not my preference, too sweet for me but reminiscent of the wine my German parents preferred). 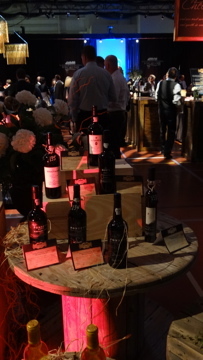 I tried Cabernets and the other reds, and I was joined by those around me also trying all the fine wines on offer. 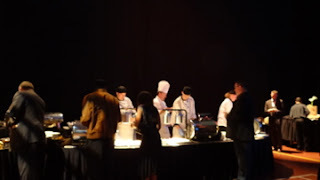 I wandered into the main lounge area and checked out the food (catered by the Sawridge, which meant it was fabulous of course), and I checked out the entertainment (Becca Hess, a beautiful and talented local musician who also happens to remind me of another beautiful young woman in my family, and so I always smile to see her although she does not know me). 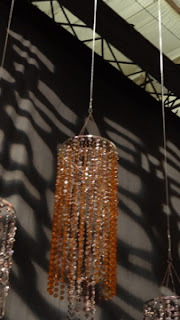 I checked out the beaded chandeliers, which I happen to know were handmade and hand beaded by friends involved in the wine auction, and I marvelled at the work and detail that went into them. 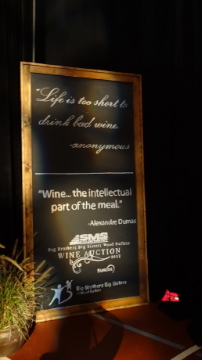 And that’s exactly it, people. 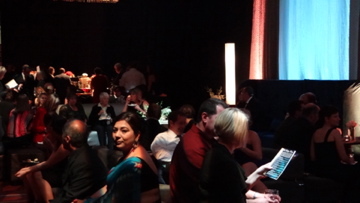 These galas and events often look effortless when you attend them as a guest, and that is how it is supposed to be so you can enjoy the event and the atmosphere. But I know a little bit about the amount of blood, sweat, and tears that go into them. 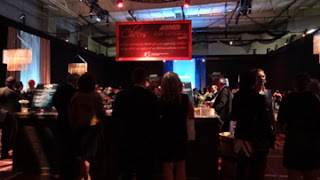 I know a little bit about what it takes to make these events happen, and I know a little bit about how much they mean to the organizations that benefit from them. I know that those little touches like beaded chandeliers take hours and hours of work and sweat and dedication - and that's just the chandeliers. The wine auction was an opportunity to gather with friends and members of our community, to laugh and talk and raise a glass. 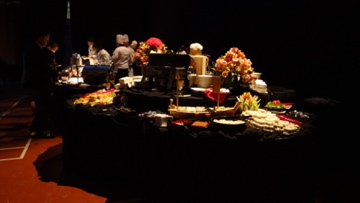 It was so much more, though. 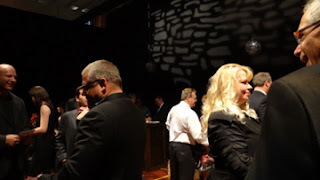 It was an opportunity for those of us who live here to give back to the community, to contribute to a non-profit organization that changes lives every day (and not just the lives of the little brothers and sisters, either, but the lives of their big brothers and sisters, too). 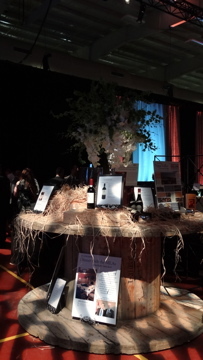 We raised our glasses on Saturday night, and we celebrated another successful year for the SMS Wine Auction – and the success of another of our incredible local non-profit organizations. And frankly I cannot imagine a better reason to drink a glass of wine (or ten), can you?